The wheel sand washing machine is widely used for washing materials in industries such as gravel field, mining, building materials, transportation, chemical industry, water conservancy and hydropower, and concrete mixing station. The structure of the sand washing machine is simple, and the impeller drive bearing device is connected with water, which greatly avoid the damage to the bearing due to flooding and pollution. The bucket sand washer is a washing machine for artificial sand (including natural sand). The bucket sand washing machine can wash away the traces of stone powder and impurities from the mixed sand produced by the sand making mechanism, thereby improving the quality of the sand. The wheel sand washing machine adopts advanced technology, and is combined with the actual situation of domestic sand and gravel industry. The screw sand washing machine has a high washing height, a reasonable structure, a large output and a little loss of find sand. In particular, the transmission part is isolated from water and sand, so its failure rate is much lower than that of commonly used sand washers. 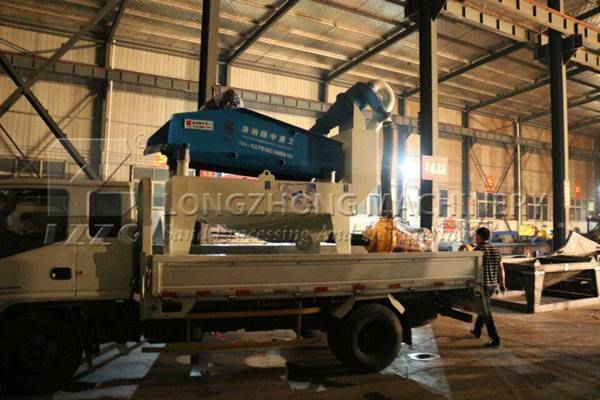 Therefore, it is a good choice for upgrading the sand washing industry in China. 1. The loss of fine sand and stone powder is minimal, and the gradation and fineness modulus of the washed building sand meet the standard requirements. The wheel bucket sand washing machine has almost no wearing parts. It has a long service life and does not require maintenance for a long time. 2. sand washing machine is convenient for maintenance, large amount of processing, small power consumption, high degree of cleanliness. The novel sealing structure, fully-blocked oil bath transmission, and adjustable overflow weir ensure that this series of products are highly efficient and durable, with good cleaning and dewatering effects, and fine-grained products that remain undisturbed.